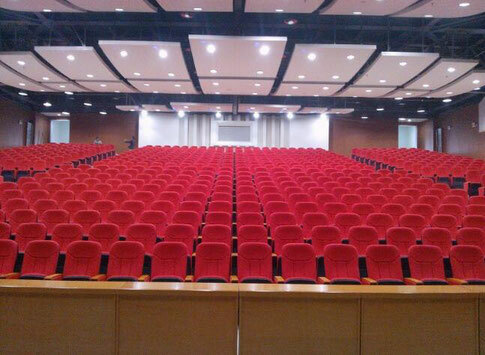 Auditorium chair is usually used in the auditorium, theater, church, hall,school, university and other places. It is made up of the seat, chair, armrest and stand. Normally stand and armrest as one of general structure handrail.The structure is steel structure or steel structure.